Newborn exam on parent's bed, so they can be close to baby, watch and learn. The truth is that there are things one can do to prepare both physically and emotionally. And there are things one can do to ensure the best possible outcome for mother and baby. Pregnant women are not passive victims to their bodies. 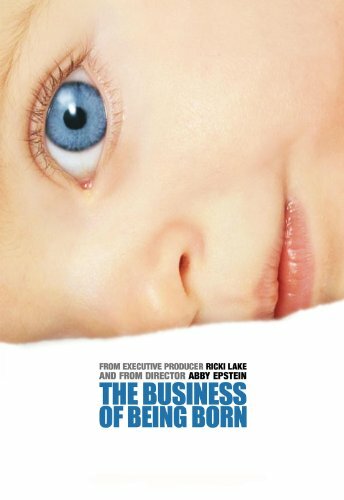 I learned these things from women like Pauline Nardella, Childbirth Educator, Anne Margolis, Certified Nurse Midwife and the filmmakers Ricki Lake and Abby Epstein who made “The Business of Being Born”. For every woman there are specifics that stand out in their prenatal care. I did not have to be subjected to constant pelvic exams, since most of the time, there was no medical need for it. When my midwife had to determine if the baby was head down she respectfully offered me options; an exam or sonogram. Until that point, I had always been told to undress from the waist down. Never asked. Never aware I had choices. I also learned that women are suggestive when pregnant. This is not because we are suffering from “pregnancy brain” or any other one of those derogatory descriptions of a woman expecting. We are suggestive in this condition by nature because it assists in the birthing process. A pregnant woman can be told she can bond with her unborn baby and therefore she can. A pregnant woman can be told that the contractions are surges, or simply a tight feeling and therefore they are endurable or even pain free. Being suggestive is critical to the birthing process and being exposed to fear in a suggestive state puts women on a dangerous path toward labor. This is why numbing drugs are so critical in an optionless system, not just to medicate the pain, but to numb a women’s fear and even the fear of fear. My homebirth midwife asked me questions about my pregnancy. She asked questions about my life situation and my concerns. She let me speak and she listened. I was an active participant in the prenatal check-ups to determine the well-being of my baby. She did not overwhelm me, and with each visit she provided simple handouts of things to do or assist me in my pregnancy. I did not feel pressure to do everything (like walk a mile a day, drink a gallon of raspberry leaf tea and do 1000 kegel muscle exercises while sitting in traffic) but to do what I could and even without doing anything at all, my body knows what to do. Women do not “fail” to give birth. This truth was reaffirmed in my Hypnobirthing class. My body and my baby know what to do. We follow nature. Despite this, the moment my water broke, I felt fear. “I am not ready”, I thought. At nearly 42 weeks I should have felt ready. But I still could not let my thoughts go. Did I practice enough with the tapes? Do I have the stamina? Am I going to fail to progress like I did in the hospital with my daughter? Can I take the pain without meds? The first contraction was powerful. It took me by surprise. This is where my prenatal care began to demonstrate its effect on me. Instead of thinking “OW!” I thought “WOW! My body is strong.” Holding on to that thought, I went from contractions every 10 minutes to every 5 in less than an hour. Apparently positive thinking and relaxation does have an effect on the cervix. The “proof” was now in action. I actually did not plan in advance the positive affirmations I would use, but once in labor, I no longer referred to them as contractions but as waves because they were not isolated to my uterus. I felt them from the tips of my toes to the top of my head. I called my midwife to let her know the contractions were coming strong and quickly. My husband ran around preparing the bath and trying to figure out why the heat wasn’t working that cold February night. My 2-year-old woke up looking for me. “The baby is coming?” If someone told me she was going to wake up and pine for me before our babysitter arrived, mid-transition it would have scared me. I cuddled with her and tried to put her back to bed as my husband stopped between errands to hold my hand. My midwife had the wisdom that I should prepare and inform my daughter with videos and a homebirth children’s book. She was a little afraid but more excited mostly because I was not afraid. I did not know I had the strength to care for my daughter and my labor at the same time. At my first birth my husband could not be out of my reach for two seconds. I needed his strength to get through the 20 hours of pain. Without any rubs this time, I made it one wave at a time. I realized that the waves only lasted for about one minute or so and at this point the endorphins kicked in and the calm between lasted for three or more. It felt utterly divine so I focused on this. Since I was so suggestive, all I had to do from my practice was say the word “relax” and I was completely weightless, and floating. I did not mind the contractions as much simply because the strength of them and my thoughts were instigating this blissful relaxation. My midwife had not yet arrived as my cervix reached 10 cm, and my husband and neighbor had just completed filling the tub. I went back into my head since I did not expect to be in the bath alone and I got scared. My Midwife and Doula arrived just before I felt the need to push. I let her know I was scared and she asked me of what. And I said of being alone. My husband was with me, the babysitter arrived and so did my caretakers. She only needed to say “You are not alone” and I was not alone. In the warmth of the tub, my husband was holding me, sharing our strength to birth our son. In the timelessness of following nature, I remember my midwife’s words as I fell into what seemed like a trance. She said, “Go with your body”, after I announced the urge to push. And I did. She said, “Open your pelvis and let the baby through.” And I did. She said, “Push past the burning ring.” And I did! My son was nearly 10 pounds. We brought him into this world without fear, and after only three hours of labor and 15 minutes of pushing, he arrived into our arms with a feeling of love that cannot be described. Perhaps it was the Oxytocin I heard so much about. Still, the experience was life changing. It gave me strength through the turbulent changes of the first weeks of post-partum and a feeling of empowerment that I can carry with me through life. This story of trust, birth and love has bonded us immediately as a family and I have no doubt this birth story will continue to shape our lives. Forget your childbirth class, and take steps to your most empowering experience. If you are thinking about conception, pregnant, or love someone who is, take it from me that her wisdom is life-changing. I have listed my recommended prenatal and postpartum supplements in the PRENATAL SUPPORT and POSTPARTUM/BREASTFEEDING section, but you can search their catalog for other supplements and natural remedies as well. Open an account - registration is free!